Please welcome Nina D'Aleo to The Qwillery. 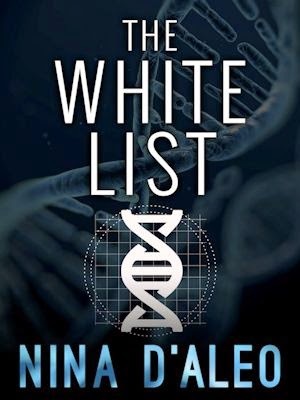 Nina's most recent novel is The White List, which was published by Momentum on May 13th. Nina: I started making up stories before I could write, and I haven’t stopped since then. It’s just something I love. Like most writers there’s no rhyme or reason to it – you just have to. Nina: A plotter for sure. 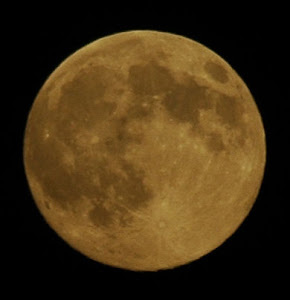 The most challenging thing, I think, is not second guessing the story half-way through and restarting it. Some stories I’ll restart over and over and then go back to the original! TQ: Who are some of your favourite authors and literary influences? 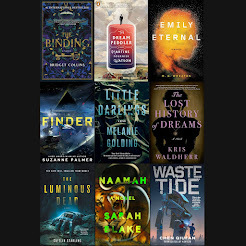 Nina: Sooo many – too many – my to be read list is huge and growing. The Hobbit was the first book that really made me think that I wanted to write and mum read that to me when I was four… and at the moment I’m really loving reading the books by my fellow Momentum writers – Nathan Farrugia, Amanda Bridgeman, Chris Allen, Luke Preston, Trent Jamieson, Kylie Scott are all brilliant storytellers and writers. TQ: Describe The White List in 140 characters or less. 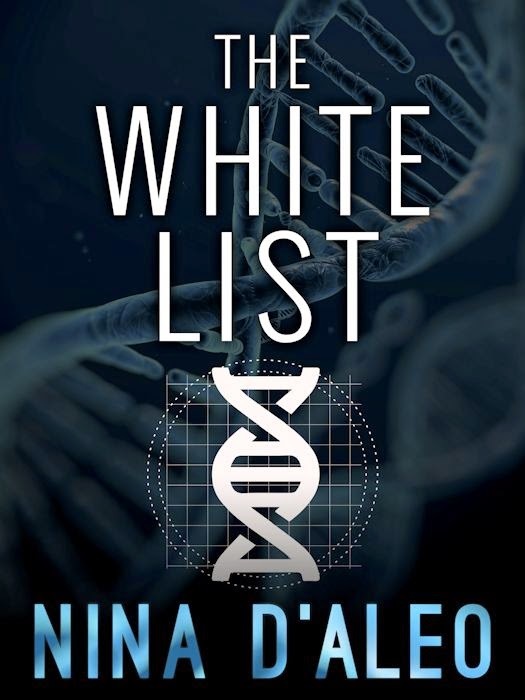 Nina: The White List – supernatural strengths, secret agencies... and love. TQ: Tell us something about The White List that is not in the book description. Nina: It’s about what we do for the friends and family we love – how far we go to protect them. TQ: What inspired you to write The White List? Which genres does The White List blend? Nina: There were a lot of inspirations for The White List – James Bond, X-Men, Heroes – all the superhero movies – even True Lies - and I would say it’s a sci-fi/fantasy blend. TQ: What sort of research did you do for The White List? Nina: Silver is the only POV character in the story so she’s the easiest and hardest by default – but as far as writing characters go – her voice came fairly easily to me. We’re similar in some ways. TQ: Give us one or two of your favorite non-spoilery lines from The White List. ‘A fur tumbleweed drifted across the tiles in front of us, coming to rest beside a toy rat. Dark picked up the squeaky toy and threw it to a cat who was stretched across the hallway. He was a big, pink-nosed, ginger-and-white Turkish water cat we called Mr Foofypants. Nina: Thank you for having me! Silver is an intelligence operative working for an agency that doesn’t officially exist beyond any government and above the law. Chapter 11 is the kind of place a person can join but never leave. And it keeps a third of the world’s population under constant surveillance. At work. On the street. In their homes. One in three people are born with Shaman syndrome, which endows them with abilities they cannot control and do not even know they have. It is Chapter 11′s responsibility to cap and surveil these walts as they are known to ensure their talents don’t turn ugly for the ordinary people around them. After Silver’s partner, Dark, is seriously injured by a walt, Silver is driven to investigate. What starts as a routine investigation isn’t as clear-cut as it seems, especially when she discovers there’s a price on her head. Chapter 11 might be watching the world, but it can’t see the division in its own ranks. Someone wants the white list the list of every known walt that Chapter 11 has capped but for what purpose? Silver needs to find out the secret behind Shaman syndrome, before it’s too late. Nina D’Aleo wrote her first book at age seven (a fantasy adventure about a girl named Tina and her flying horse). Due to most of the book being written with a feather dipped in water, no one else has ever read ‘Tina and White Beauty’. Many more dream worlds and illegible books followed. Nina blames early exposure to Middle-earth and Narnia for her general inability to stick to reality. She also blames her parents. And her brother. Nina has completed degrees in creative writing and psychology. She currently lives in Brisbane, Australia, with her husband, George, their two sons, Josef and Daniel, and two cats Mr Foofy and Gypsy. She spends most of her days playing with toys, saying things like 'share', 'play gentle', and 'let’s eat our veggies' and hearing things like 'no', 'no way' and 'NEVER!'. The Last City, Nina’s debut novel, was nominated for an Aurealis Award for best science fiction novel. 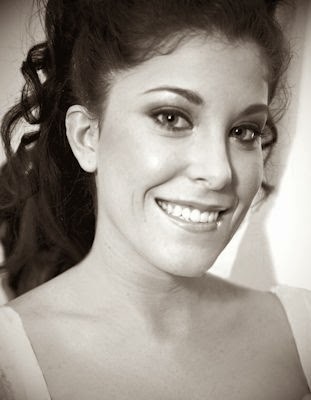 Nina is the author of three novels including The Last City, its sequel The Forgotten City, and The White List. 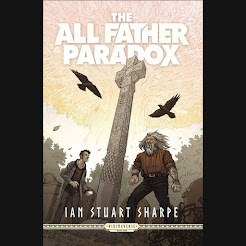 oooooh.... another one for the TBR pile!